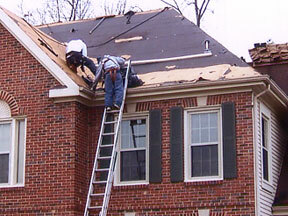 Reyes Roofing Contractors, LLC is a local, certified roofing repair and replacement company servicing Chantilly, VA. Serving Chantilly, VA and the Northern Virginia community since 1991, Reyes Roofing Contractors, LLC handles all of your residential roofing and commercial roofing service needs. Our skilled technicians use quality materials from the top roofing manufacturers and we are certified as a CertainTeed SELECT ShingleMaster, CertainTeed Silver Star Contractor, EPA Lead-Safe Certified Firm, and a Velux Five-Star Skylight Installer. We offer competitive pricing on all of our work. Visit our projects gallery to see some of our work. At Reyes Roofing Contractors, LLC, we believe in servicing our clients by providing them with accurate up-to-date straightforward information and quality products, revealing the highest level of excellence. Whether you have a leaky roof in need of repair, a business in need of a roof restoration, or are looking to build a new roof construction, Reyes Roofing Contractors, LLC can handle all of your Chantilly, VA roofing needs. Our roofing services provide comfort, security and long-lasting beauty. When it's time to sell, residential and commercial property owners appreciate the higher market value a new roof will deliver. Get a free, no-obligation roofing estimate. 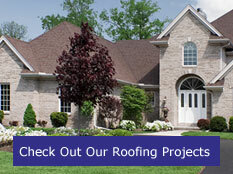 Contact the roofing experts at Reyes Roofing Contractors, LLC with Chantilly, VA roofing questions or concerns.